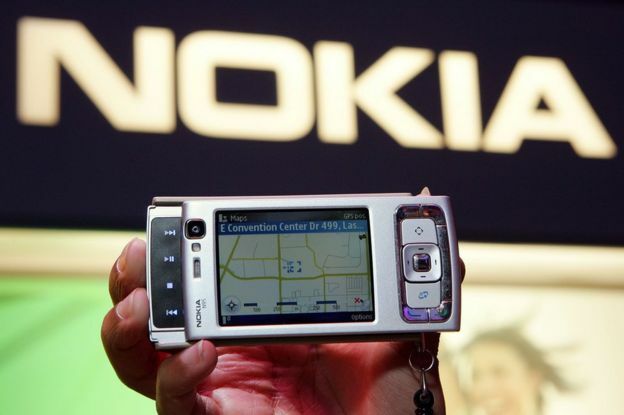 Nokia-branded mobile phones are on sale, once again, and being marketed on the Finnish company’s website. For now, the range is limited to some pretty basic models, but that should change when Android-powered smartphones and tablets are added soon. It’s thanks to a deal with a small team based at a business park on the fringes of Helsinki, who are engaged in what will seem to many a foolhardy mission. They call themselves HMD Global – and they believe they can make Nokia a big name in mobile phones once again. I met Arto Nummela, Pekka Rantala and Florian Seiche in a cafe on what is still the Nokia campus. That very day Arto and Pekka had stopped working for the Nokia Windows mobile phone business owned by Microsoft – because they had acquired both it and the Nokia brand to start their new business. Yes, it is complicated, but so is the recent history of what was just a few years back Europe’s technology superpower and the biggest force in mobile phones. After the launch of the iPhone in 2007, Nokia faltered and by 2011 was on what its first American chief executive, Stephen Elop, called a burning platform. 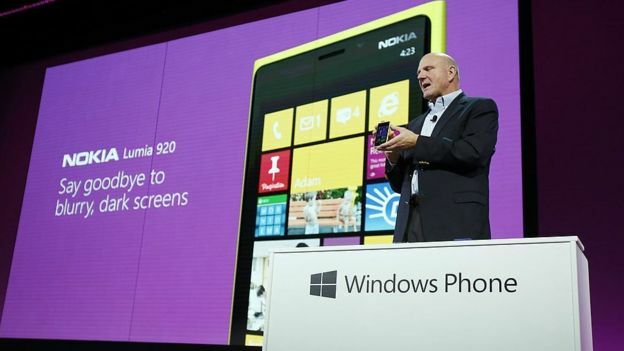 Then, the phone business was sold to Microsoft, which soon found it had made a disastrous purchase as the Nokia Windows combination failed to claim a significant slice of a market dominated by Apple’s iOS and Android. 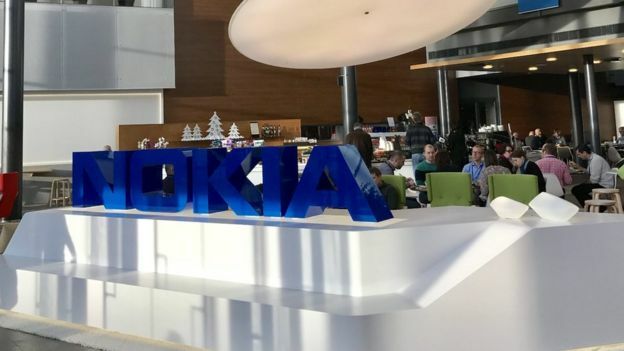 Now, the Finnish business – which remained a big force in telecoms infrastructure after the sale of the mobile unit – has licensed the Nokia brand to HMD Global, which aims to take it back to the future. What have the trio in charge got going for them? Well, they have taken over from Microsoft the declining but still sizeable feature-phone business, which still means something to millions of customers across the developing world. “It’s declining roughly 15% a year, but it’s still a very healthy business and it’s global,” says chief executive Arto Nummela. That gives them cash flow and access to retail partners. But the real aim is to launch a range of Android smartphones, starting in the first half of 2017. HMD Global will not manufacture the phones – they have a deal with Foxconn, which will build them in China and Vietnam – so its focus will be on the design and the marketing. They told me they had been hand-picking the best designers in the industry, who had been “lining up” to sign up. They are a mix of former Nokia people and other industry veterans such as Florian Seiche who came from HTC, and then “young hungry talented millennials”. But they are entering a fiercely competitive Android market, where all sorts of companies are failing to make any kind of profit. Why should they be any different? In one word, it’s all about one word – Nokia. “The Nokia brand is a true brand with 150 years of history,” Mr Seiche says. 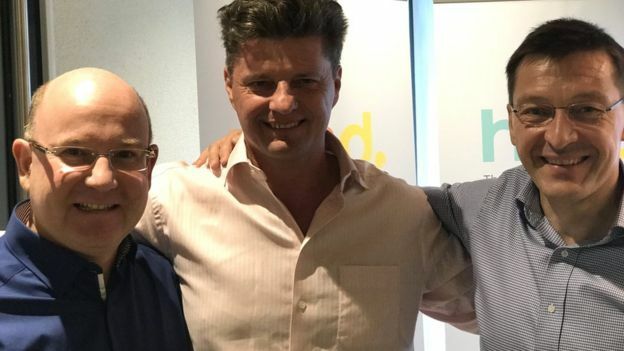 The trio told me that as they toured the world setting up partnerships, they were met with huge affection – “people are coming to hug us, there is a magical love of Nokia”. Pekka says every other new entrant to the Android system has to fight to find a place in the market, whereas they come as a trusted player. We chatted about great Nokia phones we had owned in the past – or that elderly relatives still used – and there was a warm nostalgic glow in the room. But as I stepped outside into the cold, I couldn’t help remembering my first visit to Nokia, in 2000, when it was undisputed champion of the mobile world. Back then, the chief executive of Nokia Mobile phones, Matti Alahuta, told me that Europe had led the world in mobile technology while the US had been the driver in the internet. “Our mission at Nokia is to be the key driver to make the mobile information society happen,” he said. Eventually that dream failed, and it was American technology giants who led the world into the mobile internet era. Now, HMD has a much less ambitious mission – simply to make Nokia a mobile player again, but it may be just as difficult to realise. However much affection there may be for this great name in the modern history of communications, consumers will not buy phones for sentimental reasons – the new Nokia will have to show it has got new ideas to shape the future of phones.